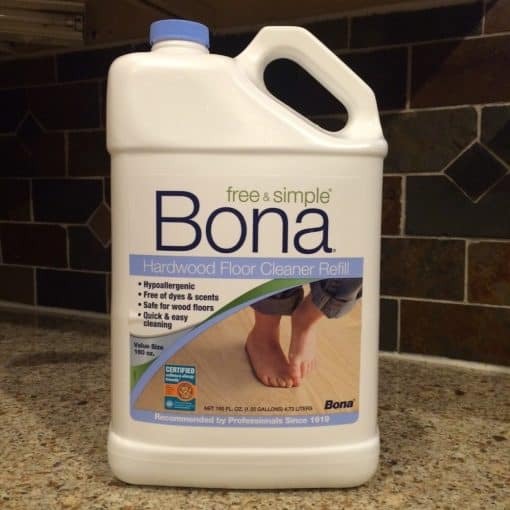 I have been using Bona to clean our floors for years. Once I started looking into upgrading our cleaning products to safer and healthier versions I switched to Bona Hardwood Cleaner, Free & Simple. The Environmental Working Group gives the cleaner I had been using an “F” but the Free & Simple version gets a “C”. Okay so I’m not up to an “A” yet but I’m working on it! 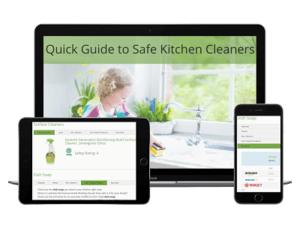 The Free & Simple version is hypoallergenic and free of dyes and scents. And, it does a great job on our floors!! Sold!